I talk a lot about aggression. Let’s face it; aggression is probably the top problem people come to me for training. The problem is that people don’t understand dog aggression and why they bite. They think differently than we think, and it is hard for us humans to take the time out of our busy lives to begin to understand them and to sit and watch the intricacies of their language. I often wish that dogs could take over the world for a few days so that people would HAVE to learn their language. We expect them to understand us, but we give no notice of how they communicate with us or each other. Humans smile when we are happy. Dog’s don’t smile when they are happy; dogs show their teeth as a warning signal that something is wrong or to stop doing whatever you are doing, this is a sign of impending aggression. BUT, dogs are great about realizing pretty quickly that when we smile at them we aren’t going to eat them. Some dogs actually mirror our smiling behavior as a way to connect with us and try and speak our language. There is the occasional dog that has learned to smile back in an attempt to appease us. We pay little to no attention to them and expect them to learn our language. The problem is it is then nearly impossible for people to see and understand their, or other dogs’ thresholds because we don’t study them or seem to care. Even if we can begin to recognize signs that our own dogs are showing distress we usually don’t stop taking our dog where he is stressed or doing what we are doing and we usually don’t pay much attention to another dog, and this is what develops into sometimes very serious bites. Under the right circumstances or conditions and stress any and all dogs will bite. As my mom use to say “If it has teeth, it will bite”. 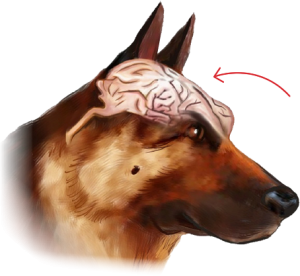 So let’s talk about it so we can understand it and begin to read it; not only in our own dogs but in other dogs as well. Aggression is usually caused by stress and stress can be pain, fear, anxiety or even arousal (excitement). And, when one stress adds to another stress to another stress the dog is closer to his bite threshold, or his willingness to bite to get out of the situation. The key is recognizing the stress or many stressors right away and alleviating it or stop them from happening. 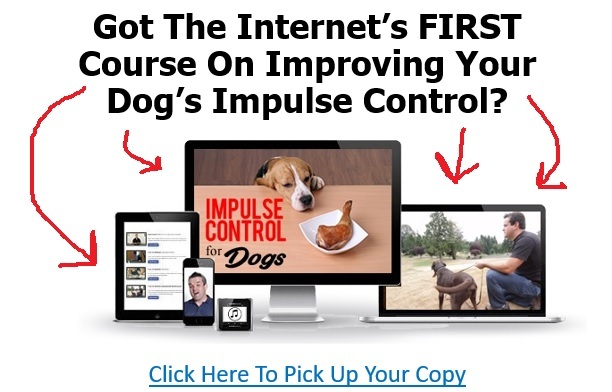 Want to learn more about “Impulse Control” Training your Dog? 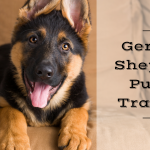 Check out our 8 week class, where we walk you through how you can use Service Dog industries impulse control training process on your own dog. For example: let’s say my dog doesn’t like new places, doesn’t care for loud children, doesn’t like when people come to talk to me or him and doesn’t like being petted over the top of the head, and maybe he is over tired from the excitement or earlier exercise. So if I take him to a baseball game (stress of new environment), it’s full of wild children (more stress), an adult walks up and talks to me and then him (elevated or more stress) and tries to pet him over the top of the head (stress and a lack of controlling it because he is tired). At this point an even normally social dog, is much closer to biting the human, because it is as if all of his sensory issues are being pushed. 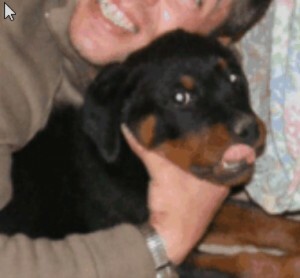 Even if you alleviate a few of the stressors he is still uncomfortable and closer to biting. I know people who have sensory problems, some are autistic, and others of us just have things that bother us and our senses. I don’t like loud noises, I don’t like crowds of people, and I don’t like being touched by people I don’t know. So even though I like concerts; my sensory issues are at their max, so if you touch me you are likely to get a very angry me. Some people don’t like their food touching other food on their plate, add that to a restaurant full of loud people, and someone being rude to them and they too might have an anger management issue. 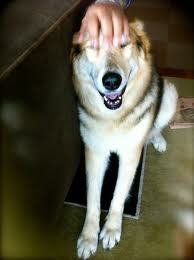 This is the lowest level at which the stimulus can be detected, the dog may or may not be stressed. So this might be the moment your dog notices another dog. Or, this could be the moment the dog notices a toddler walking around. This is the level at which a stimulus can not only be detected but also recognized. 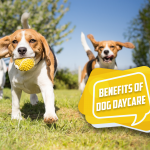 This might be when you lose your dog’s attention and his attention is on the baby or the dog, losing his attention denotes stress to some level; even if it is simply excitable stress. This is the level at which an increase in a detected stimulus can be perceived. 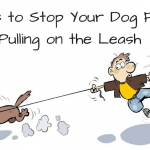 Now is when your dog begins to pull toward, try to jump on, freeze, stare, bark or possibly growl at the dog or toddler. This is when the stress becomes more overwhelming. This is the level beyond which a stimulus is tolerated. This is when the bite is about to occur. 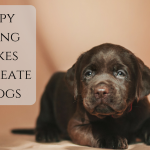 Your dog or “the dog” has given you multiple warnings of stress that you have never taken the time to notice (lip licking, ducking head, and yawning) and now if you push him and try to touch him and he feels like he can’t get away he is likely to bite. 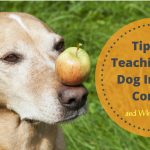 Not all dogs growl or give an aggressive warning (why I believe a growl is a good thing click here) sometimes it is up to us to study some dog language. If in doubt don’t ever push another dog into petting, you might get bit. 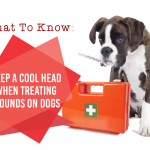 The busier the surroundings and the more people petting or around the dog, the more stressed the dog is likely to be. I don’t care if the owner says the dog is a saint; if your gut tells you that you are not comfortable listen, even if it hurts the person’s feeling. They may not recognize or see the signs their own dog is giving you. If your dog becomes stressed pack your things and GET HIM OUT!!!! I don’t care if you have driven 5 hours or purchased tickets or whatever is going on in your life. If you took the responsibility of taking your dog and he is stressed out, take him somewhere where he can chill out. 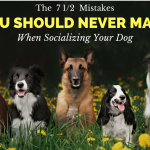 That is not to say that you can’t work on desensitization, slowly and build your dog’s confidence. But the more stressed he is, the more likely he is to bite. And, dogs that bite are bad for everyone (unless of course you are a police officer with an active K9)! I really am appreciating all of your insights. However I am struggling to get my 4 mo old British yello lag female to stop biting all of the time. She is better than she was ,b ut cont to bit. I read your article, and clearly see how excitiment gets her going, but this happens all of the time. I would appreciate any assistance you can offer. I do try to give her something else to chew on other than my hand, shoe, or clothing. She also loves to jump which I resond to with a down, either pushing her down with my hands or, in som cases, using my knee……not hard, but firmly. Hi my dog daisy bites when you run and it will be on your heels what should I do? I don’t believe on judging dogs by breed. There are some great pit bulls there are some aggressive pit bulls. There are some great Golden Retrievers there are some aggressive Golden Retrievers. It is more about the individual than it is about the breed. I absolutely agree with Minette. Don’t judge a book by it’s cover! IN my experience, and I have a lot of experience working with dogs of all types, Pit Bull Type Dogs are often the MOST people friendly dogs I have ever known. People often resort to the history of the breed having been fighting dogs for human entertainment, so they must be aggressive if they were breed to fight… Not true at all. 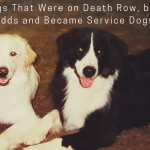 If you want to talk about the history, while, yes it is true that they were at one point breed to be fierce in the pit, they were also breed to be gentle, social FAMILY pets. If a Pit Bull dog showed any aggression towards a human, it wouldn’t matter, that dog would not be breed and those traits wouldn’t be continued, hence the super wiggly, tap dancing bullies we have today. Dog’s are incredibly resilient creatures, and many are able to bounce back from whatever horrific situation from which they were rescued, so the idea that your daughter is courting disaster is an incredibly misguided one. A dog I regularly look after who’s a staffy x is 6 years old and having more aggression issues than usual. He attacks other dogs (never people) although due to his behavior he has forced many people to dislike and be scared of him. He lives with 2 other dogs and is the lowest in the pecking order. He is a rescue dog but unfortunately, due to his position in the household and the added fact I know he’s been hit even punched when he’s become aggressive towards other dogs I’m unsure how to curb this behavior. Even though he’s been aggressive towards my dog I can’t be angry at him but I’d like to help him to be more socially integrative. He’s generally quite good when in my company although when he gets excited i.e. With balls, sticks or even random dogs coming to say hello, this is when the attacks occur. It’s gotten to the stage where I have to keep him on a leash down the beach coz even I can’t trust that he won’t have a go and it’s safer for all but I’d like to trust him off leash again. He has jealousy and insecurity issues which I recognise but here in lies the problem. Is there anything I can start doing now? I’ve tried treats, praise, soothing him in gentle tones (not immediately after his behavior tho I don’t just tell him ‘ no’ it’s more like ‘ no, stay with me, unacceptable, not impressed, naughty’and he knows he’s done the wrong thing, then we walk for a bit with him behaving and I’ll pat him and tell him good boy. It is getting worse and I’m unsure what else to do? Can you help? Time to find a veterinary behaviorist who can help and the owners have to do the work. I must say this was very informative. I really thought I was watching my German Shephards body language well when the tech at the vets office walked in with her hands in her pockets and my Diesel went off verbally to her. I told her to take her hands out of her pockets. She just looked at me. I again said Honey you need to take your hands out of your pockets. She finally did. Immediatelt Diesel went up to her and nudged her to pet him. It happened again today at the vets. The tech came in with her one hand in her pocket. Diesel went off on her verbally. I again told this tech to take her hand out of her pocket and again she looked at me like i was an alien. Seriously take your hand out of your pocket!!!!! She did and Diesel sat down them relaxed and laid down. I am on top of his body language as much as I can. This was a new one for me!!! My newly adopted dog hates a black man that’s in my house 3 days a week. We’ve tried treats and hamburger meat. The dog runs to the bathroom and will not come out all day until the man leaves. What do I do? What is the relationship if I may ask? Is he a friend, is he working? My dog is a 5lb Morkie. He has bitten two of our grandchildren. He barks when ever he hears a noise. Barks and hops on two feet when he is being walked and barks and sometimes snarls when he sees people. He is a love bug at all other times. When someone comes over he barks and can snarl until he gets use to the person. I had a friend give him treats to show friendship. Any other advise you can give. He is no longer welcome at my daughter in laws home because of his actions. When children of any age wants to walk up and touch your dog, Caution should be used in your home. Watching the dog interact with the children is key in this case. Pit Bulls are awesome doggies, when loved and trained. I am a meter reader, going house to house. I ave no problem with 99% of dogs. never been bitten. But a few of them are loose and seem to love barking. No problems again. I am bothered when the dog barks, and follows me growling. It does make me feel uncomfortable. In my rounds, I go to each property only once a month, so dogs don’t seem to get use to me. Should I refrain from going on properties where dogs bark and follows me? Any signs when they could be dangerous? It’s about the dog not the breed. Dogs are born w/ an initial temperament (often inherited from their parents if a new owner is lucky enough to meet them). Environment, experience, training, leadership and SOCIALIZATION take it from there. The (ill-gotten) reason for breed-specific banning in rental homes, etc is stereotypical. ANY particular small dog can be as aggressive or more-so than ANY particular large dog. A legitimate difference however is that a large and/or powerful dog can do more harm. 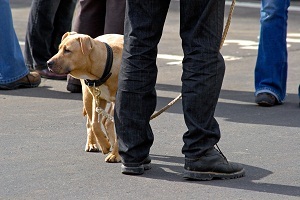 It’s the dog owner’s responsibility to keep situations – and his dog – safe from aggressive incidents. 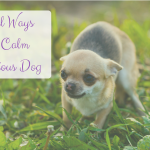 The article on recognizing a dog’s stress level is a great start! (They left out “raised hackles” as another sure sign to notice). Simply put “a dog won’t bite when a growl will do”. The point is that dogs usually give warning signs before resorting to a bite. As owners, we need to do our best to pay attention and prevent/avoid problems before they happen … (which is why these owners wrote in the first place). I have a rescue dog that immediately stiffens if someone picks up a “stick”-cane, umbrella, branch in the yard. For a week I left an umbrella lying around, the same with a cane, etc. Maybe I’m lucky, but he never shows signs of discomfort with these objects now. I have a 13 pound abused rescue Terrier mix. He has improved but came with terrible fear aggression. He likes most dogs and goes to doggy day care once or twice a week for socialization and they love him there. If anyone gets close to me, he turns into Cujo. My husband can’t bend down over the bed to kiss me goodnight, he will go after him. He will let some people pet him but only if they have a dog. He won’t let a stranger come into my house. I have had a trainer twice and follow through with her suggestions. He has two broken canines. The vet feels he might have come from a domestic abuse situation. I am at my wits end. You need a veterinary behaviorist, a vet that actually specializes in behavior. 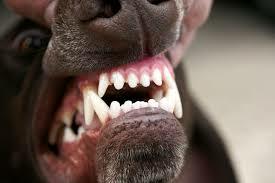 As far as the abuse goes, I can’t imagine how anyone would break a dog’s canines by abusing it…. Dogs break their own canine teeth by chewing things that they shouldn’t or get their teeth stuck in a crate but it would be difficult to break just an animal’s teeth with an abusive action. My one year old mini golden doodle. She is very sweet and loving. EXCEPT when I go to bed she becomes aggressive lunges and bites. Of course I’m thinking she doesn’t want me to do that. But it’s become a habit how can I change this. Would it be cruel to put her in another room and put a gate up?